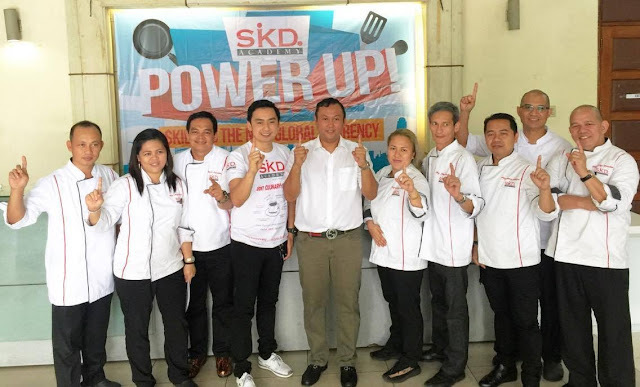 SKD Academy is one of the leading Culinary schools in the Philippines recently held a 1st Culinary Summit in Amoranto Theater in Quezon City entitled “Power up! Skills is the new global currency”. They include the words Learn.Work.Enjoy on their flyers , which I could definetly seen on the event. This event showcase each of their campuses around the Philippines. Quezon City, Meycauayan in Bulacan, Batangas City, Lipa City in Batangas, Gapan City in Nueva Ecija, Baguio City, San Fernando in Pampanga, La Trinidad in Benguet. It was a whole day event that discussed the different facets of becoming a chef. The day was filled with celebration of empowerment that was imparted to its students and public. 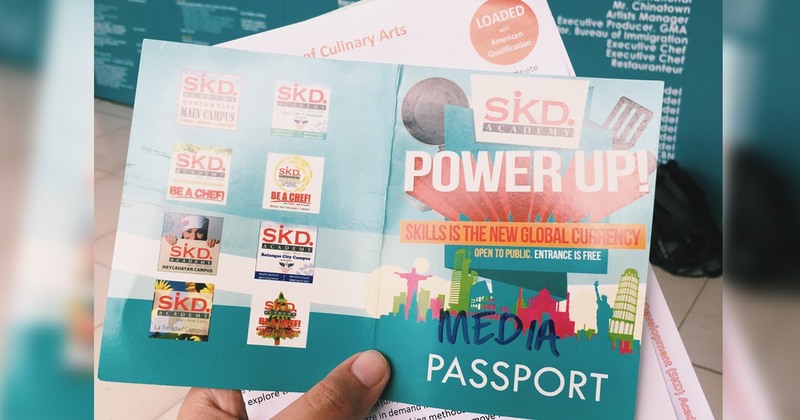 The culinary school believes that being empowered to have skills is the new global currency. They aim to help the students acquire new set of skills or enhance their existing culinary skills turning them into a competitive and the best workforce in the country. “Passion and hardwork is what drives having a valued skill set. Together, we want you to have as an edge when we conquer the culinary world’, Mr. Jefferson Camba mentioned to his opening speech during the summit. To end, this event was a tribute to all of the talents and skills of its students as they raise it to a level that has a potential to go global. Also at the event they have lots of guest speakers that inspire each students to persue their Culinary dream to be a great chef. We we're given a Media Passport booklet to try all of the offerings of each campus which is exciting. 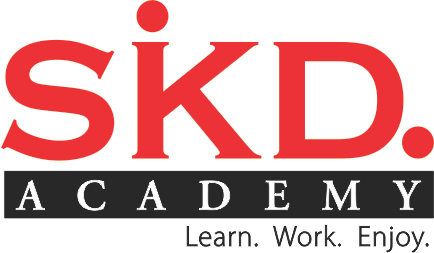 For inquiries about SKD Academy, you may contact 09175171118 or log on to its Facebook page, FB.com/SKD Academy for Culinary Arts. This event was supported by Destileria Limtuaco & Co. Inc., Cheester, Hunts Spaghetti Sauce, Tramontina, Creamy Delight and Absolute pured distilled water among others. In photo are the chef instructors of SKD Academy together with Mr. Jefferson Camba, Chairman of SKD Academy (4th from left) and Chef Ronel Britania, Executive Chef of Malacañan Palace (5th from left). Cooking is a very important life skill. When my kids are old enough, I plan to teach them how to cook. Or maybe enroll them in a culinary school. I'm not very into cooking, but my husband is. I'm sure he'd be thrilled to learn about this. Learning to cook and bake professionally is one of life's ambition. Thanks for sharing. Agree. Having culinary skills is an advantage globally most esp. if they do it out of passion and hardwork. I really hope I could enroll to a culinary school one of these days. It has always been a dream! And I agree that Skills is the new global currency. As long as you have a skill, you can use it to earn a living! It's my first time to hear of SKD.I think being a chef these days is a great career option.Our culinary skills are getting recognition worldwide. True. Skills is one of the primary ingredients of success. It has to be developed and zi like schools who focus on developing the skills more than feeding the mind. I am planning to enroll in Culinary school this year and I am still scouting for a school that offers the best program. Will check out SKD's site. They have a lot of provincial campuses pala. Culinary schools are everywhere nowadays. I hope I get some time in the future to try and enroll in a class. Will bookmark their page for future reference. I love that there are more schools teaching culinary skills today! Just reminds me that I have no reason to not know how to cook, lol! First time to hear this school. There are a lot of culinary schools coming out though, which is good because everyone needs a good does of cooking lesson to survive. Oh that was nice! I always wanted to study cooking though i know how to cook naman. I like to learn cheffy style recipes and techniques.. this is nice! I wanted to take up culinary classes before but I'm afraid that it will lessen the time spent with my family. This is great though for those who are newly high school grads or those who wanted to pursue their passion for cooking. More and more people are getting interested to hone their culinary skills. Good thing there are culinary schools like SKD Academy that bring out the best in each student. Do they offer baking classes also? My two daughters are still undecided as to what course to take in college. Part of them wants to be a chef. This sounds like a good school for them to consider if they decide to go that route. Cooking, as I see it, is a needed skill to survive. Though we could always buy ready cooked meals, the smile of eating your own creation and serving it to your family is way different - there is a certain proud smile, sort of an achievement.